Product #60757 | SKU FSP-BMPCC | 0.0 (no ratings yet) Thanks for your rating! Shoot videos and photos without worrying about damaging your LCD screen. 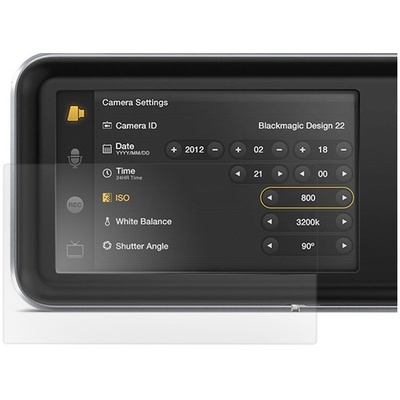 The dedicated Film Screen Protector for the Blackmagic Pocket Camera from Vello is a thin layer of durable plastic that protects the camera screen from scratches, smudges, dirt, and sweat, while also reducing reflections for better visibility in bright light. Upon removal of self-adhesive film covers, the screen protector easily adheres to the LCD without trapping air bubbles. If removed at a later point, it won't leave any sticky residue behind. In addition, a microfiber cloth is included that allows you to clean the screen protector itself to keep it clear and invisible.